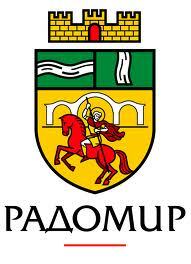 The town of Radomir, in Bulgarian ( Радомир), was first mentioned in a 15th-century source as Uradmur. Its population is about 14900 inhabitants. Radomir is a medieval town built over a prehistoric, ancient settlement and a necropolis. The first municipality church school was opened in 1826 in the village of Radibosh. In the town of Radomir educational work has dated since 1868. Today Radomir is a modern city with its own identity, economic infrastructure, natural attractions and cultural institutions. It is an industrial town with developed heavy engineering and chemical industries. There are 13 schools, 3 kindergartens, 25 community centers, a youth center and three museum exhibitions on the territory of Radomir municipality. Two holidays are of great importance for the citizens of Radomir: Dimitar’s Day (the day of Radomir) which is celebrated on 26 October each year and Christmas Eve. I’m very proud of my schoolmates’ work on the project about Culture and Ethnography in our town. Although it is a small town the citizens have saved a lot of its customs and traditions. We are proud of boza making and the young generation should know and respect the past because if you don’t know the past you can’t build the future. Thank you, friends! Radomir municipality attracts the visitor with its picturesque views and small villages. Although small Radomir is a charming town. I’m proud the be part of Nikola Vaptsarov Vocationa School team. Our students are intelligent, inquisitive,hard working and curious to discover the world around them. I’m proud we still keep our traditions and customs which the students have presented in the web site of Culture and Enthnography project. Once again, congratulations, you’ve done a great job!